Back in December I got a PS3 for the first time and more recently I’ve been working on a side project that involves looking at a bunch of gaming stuff from the 90s. Recently these two interests have combined in a way that made me think about the lack of progress in the way pc games are played. Ever since the Atari 5200 came out with a different controller than the Atari 2600 it has become common for console controllers to change with each new console. Most of the time the new controllers don’t just look different but they add in new/different features. Some of those features then go on to become more or less universally adopted. This really isn’t the case with pc gaming. Aside from incremental improvements such as using a laser instead of a ball in a mouse, the mouse and keyboard for the earliest computers isn’t really all that different than modern ones. Sure, mechanical switches are the hot thing now but those are really just coming back. No matter how many leds and lcd screens they add to a keyboard or mouse it is still basically the same and doesn’t really change your gaming experience. There was a time, however, when there was more experimentation on pc controllers. There were controllers that basically tried to make the keyboard more comfortable like The Claw, the Wolfking Warrior, the Z-board which offered replaceable keyboards for a specific game, or the Razer Orbweaver and similar products but all of these are just putting buttons in the different spots. 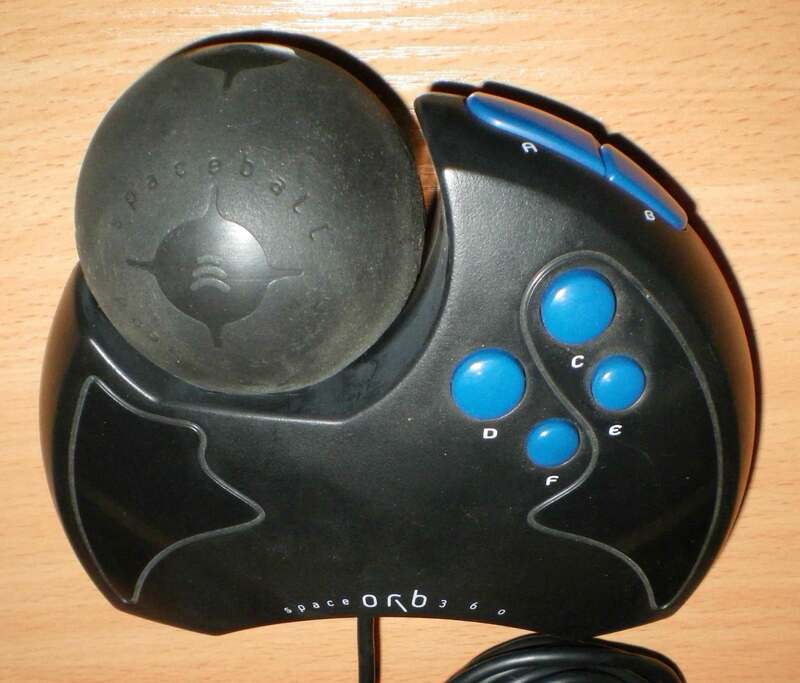 My research reminded me of one controller that tried to have analog movement: the Spaceorb 360. I remember when this came out and while it seemed like a cool idea, I never saw one in person. Unsurprisingly it failed because it was weird looking. (a somewhat similar looking controller was the Microsoft Sidewinder Dual Strike but it used the ball thing to look and not move like the Spaceorb). Apparently the Spaceorb has its fans since someone made an Arduino interface to make it work with modern versions of Windows. The thing that is appealing about the Spaceorb is something I’ve wanted in pc games for a long time: variable speed. How nice would it be in a FPS to be able to easily be able to control how fast you move? Here’s what I want: analog keys on a keyboard. Maybe just for WASD or whatever but imagine keys that would work like triggers on a controller where you could push them down a little to go slowly and all the way to run. I know it might make the clicky keys weird but surely they could just put in a potentiometer or something on the keys to measure how far down the keys were pressed without making them feel different. Maybe it is just me but it seems like it would be pretty cool to have a mouse that could do that. Unfortunately, to make it work the mouse was apparently attached to the pad which meant you couldn’t really move it very far. The other line of force feedback mice Logitech came out with was the iFeel mice which looked like regular mice. I never used either of these but I would imagine that the iFeel didn’t have as much movement as the Wingman because it wasn’t attached to a mouse pad. It was, however, apparently useful outside of gaming as it could be used to rumble when you moved the mouse over a link, a window border, or something else. That seems like it would be kind of neat and could come in handy when trying to move your mouse to just the right spot to resize a window or move a text box border. Unfortunately, like the Spaceorb, the rumble mouse also failed to catch on. However, it has been more than a decade since the rumble mouse was released and nearly twenty years since the analog controller so I think it is time for someone to try these ideas again. Come on Razer or Das Keyboard and give me a keyboard with analog keys and a rumble mouse! (seriously, give me one because I’m poor and couldn’t afford to buy them if they came out).